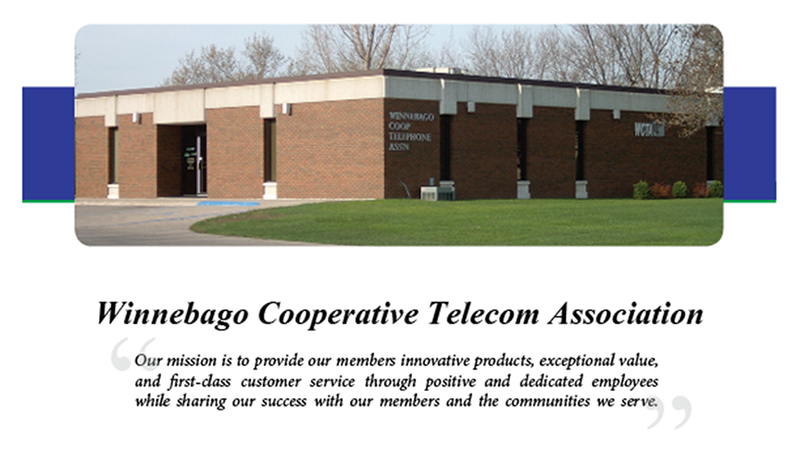 Winnebago Cooperative Telecom Association (WCTA) is a telecommunications company headquartered in Lake Mills, Iowa. Since the Cooperative’s inception in 1950, more than 70 companies have merged into WCTA. 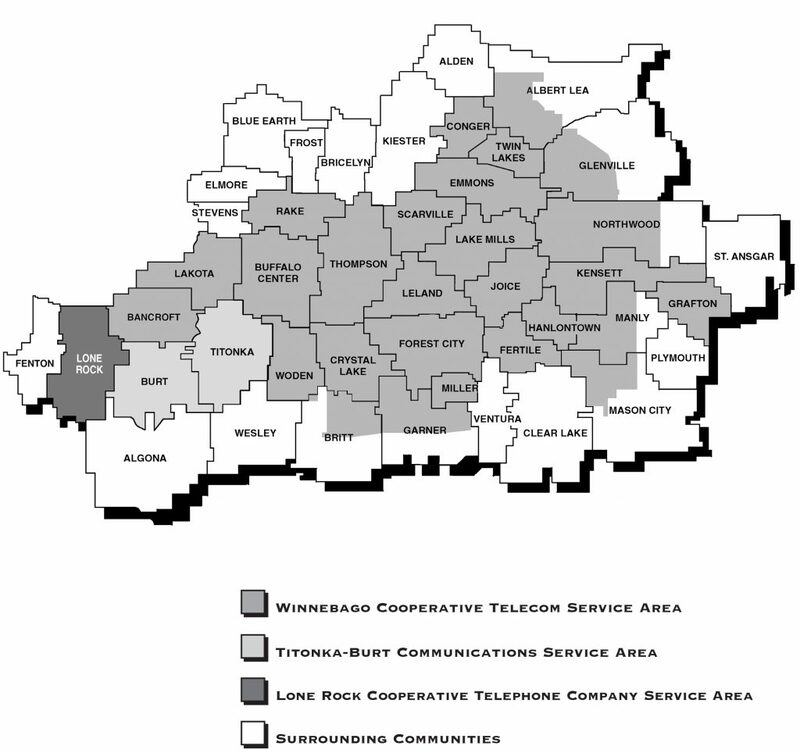 Today, WCTA utilizes the latest digital switching and fiber optic technology to deliver advanced telecommunications service, Internet access, digital TV service, computer protection, and long distance service to 27 communities in northern Iowa and southern Minnesota. WCTA strives to be an important part of each and every community we serve. Our employees live and work in these communities. They serve on fire and ambulance departments, city councils, school and civic organizations. As a cooperative, WCTA is owned and governed by its members and a member – elected Board of Directors. To date, the Board has authorized almost 27 million dollars in patronage dividend payouts to its members. We invite you to learn more about our offerings by navigating this website or contacting our Business Office at 1-800-592-6105.